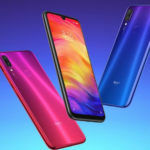 The launch of Xiaomi Redmi Note 7 caused a much-expected stir in the smartphone. 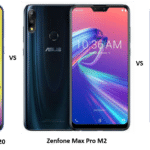 After its launch, many of the tech enthusiasts started pitting the ASUS ZenFone Max Pro M2 against the Redmi Note 7. Interestingly, both phones are not too different from each other. 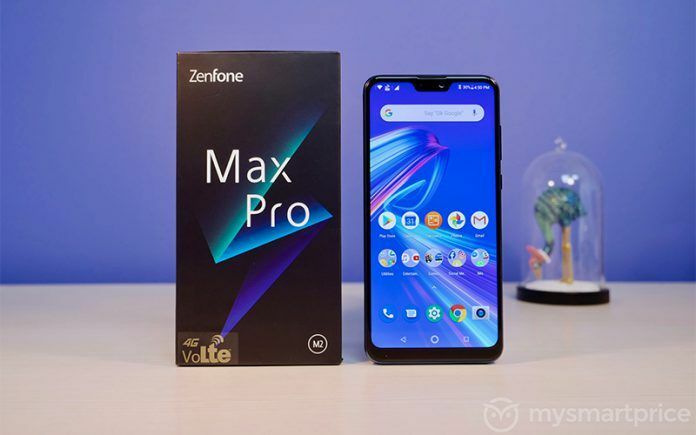 Now, before the comparisons could sore, ASUS reduced the price of its ZenFone Max Pro M2. 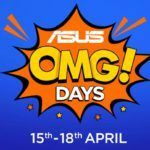 This step by ASUS could make a dent in the game. Let’s check out more details concerning it. ASUS has announced a price cut for its ZenFone Max Pro M2. The phone is now available at INR 9,999 for the 3GB RAM+32GB Storage variant, INR 11,999 for the 4GB RAM+64GB Storage variant, and INR 13,999 for the 6GB RAM+64GB Storage model. Comparing the fresh prices with Xiaomi Redmi Note 7, the 3GB RAM+32GB Storage variant of the Note 7 costs INR 9,999 while the 4GB RAM+64GB Storage model is priced at INR 11,999. As we can gauge, both the phones are now in a neck-to-neck battle in terms of pricing. Earlier, the 3GB RAM variant of the ZenFone Max Pro M2 was priced at INR 11,999 while the 4GB RAM version was retailing at INR 14,999. 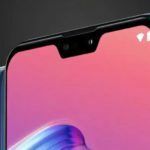 This comes up as a masterstroke from ASUS for the Redmi Note 7 and also the latest Galaxy-M series from Samsung. As we mentioned in the beginning, both the ZenFone Max Pro M2 and the Redmi Note 7 are pretty much alike in terms of specs. Let’s check out their similarities and differences in the comparison below. 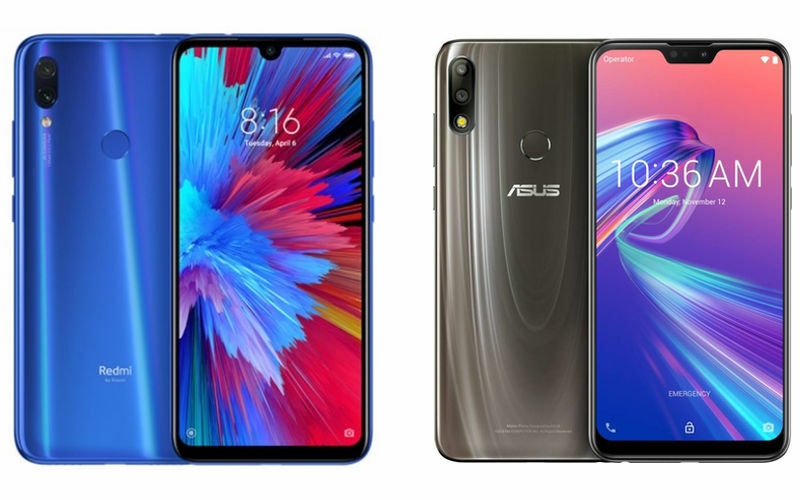 How the Redmi Note 7 Compares With ASUS ZenFone Max Pro M2? Starting with the display, the Redmi Note 7 comes with a 6.3-inch full-HD+ notched display, 19.5:9 aspect ratio, and Gorilla Glass 5 protection. The ASUS ZenFone Max Pro M2 (review) features a 6.26-inch full-HD+ screen with 19:9 aspect ratio and Gorilla Glass 6 protection. Design-wise, the Redmi Note 7 looks better than the ZenFone Max Pro M2, but there is no glaring difference in their screen size and resolution. Performance-wise, both the Redmi Note 7 and ZenFone Max Pro M2 are powered by an octa-core Snapdragon 660 chipset. In the imaging department, the Redmi Note 7 has a 12MP+2MP dual rear camera setup and a 13MP front camera while the ZenFone Max Pro M2 has a 12MP+5MP dual camera setup on the rear and a 13MP selfie camera on the front. Yet again, there is not much difference here. Both the phones support several shooting modes along with 4K video recording and Face Unlock functionality. The Redmi Note 7 packs a 4,000mAh battery with Quick Charge 4.0 support and USB Type-C connectivity. The ZenFone Max Pro M2 has a massive 5,000mAh battery with microUSB connectivity. Well, the ZenFone Max Pro M2 does have a bigger battery, but it lacks in fast charging support and Type-C connectivity while the Redmi Note 7 boasts both. However, this may not matter to the buyers who want a massive battery regardless of fast charging support. 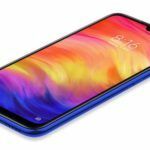 For the buyers who want the latest charging tech, the Redmi Note 7 would be a better option. What’s your take on both the phones? 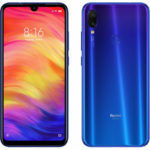 Would you go for the Redmi Note 7 or ZenFone Max Pro M2? Share your thoughts with us in the comments below. You can also check out our video for the ZenFone Max Pro M2.